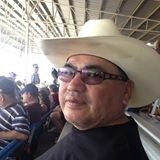 Elder Rick Lightning is a Mediator with the Ermineskin Cree First Nation. He will address how to avoid a dispute. Gain cultural competency and an Indigenous perspective while learning the tools and techniques of dispute resolution.